Mrs. Rogers and Mrs. Fillinger's Classes started the year with a moment of Zen. 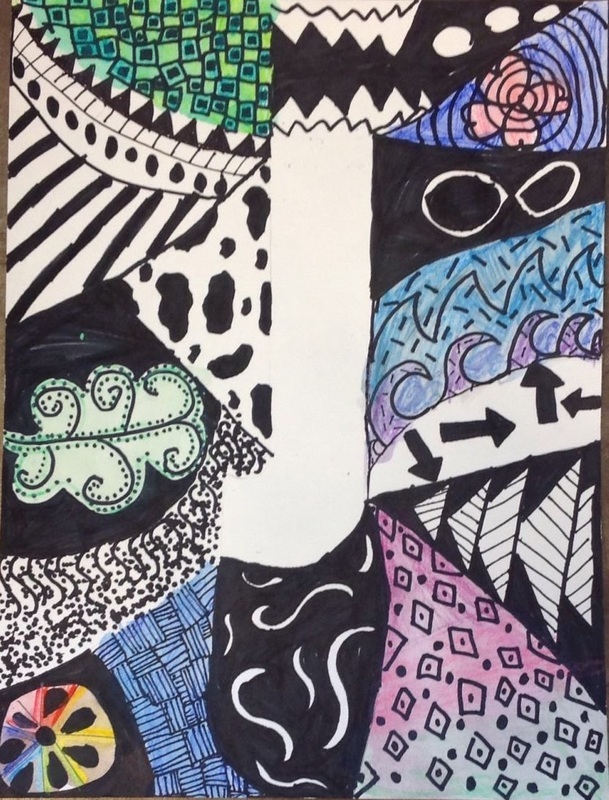 They created their own zentanlge (fancy doodle) designs surrounding a white letter. They were NOT allowed to use pencil which taught them to be careful with their mark making and turn mistakes into purposeful designs. 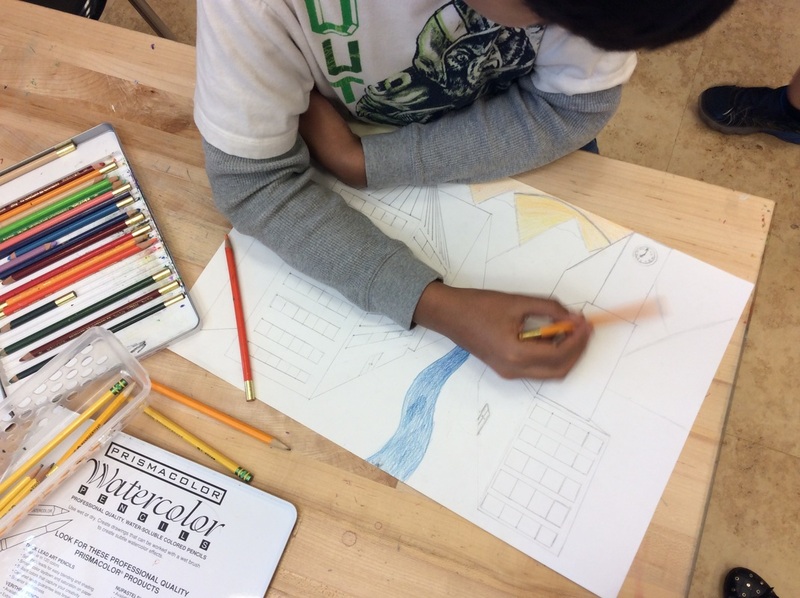 After they finished their black and white designs, they were able to use a few different materials to add color to selective areas on their project. 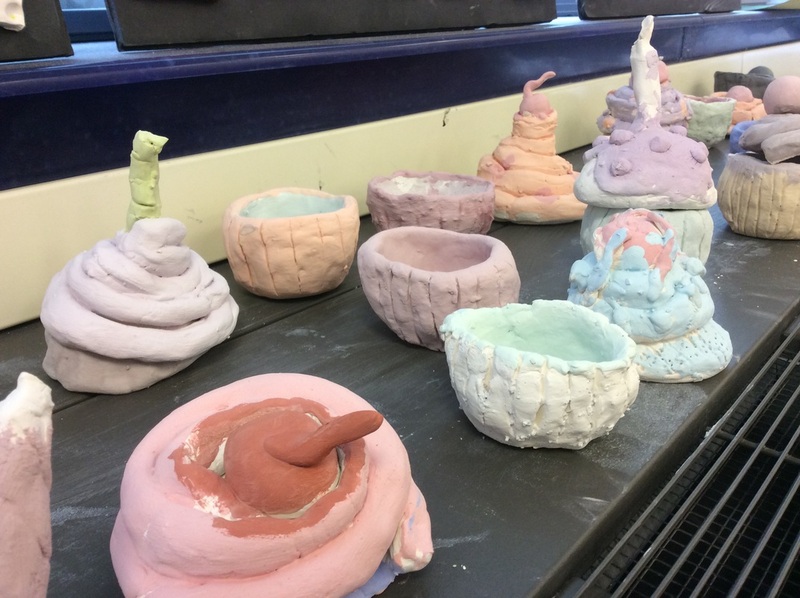 The finished projects look great individually and all together. To wrap up 2nd trimester, 5th graders did a little research project. 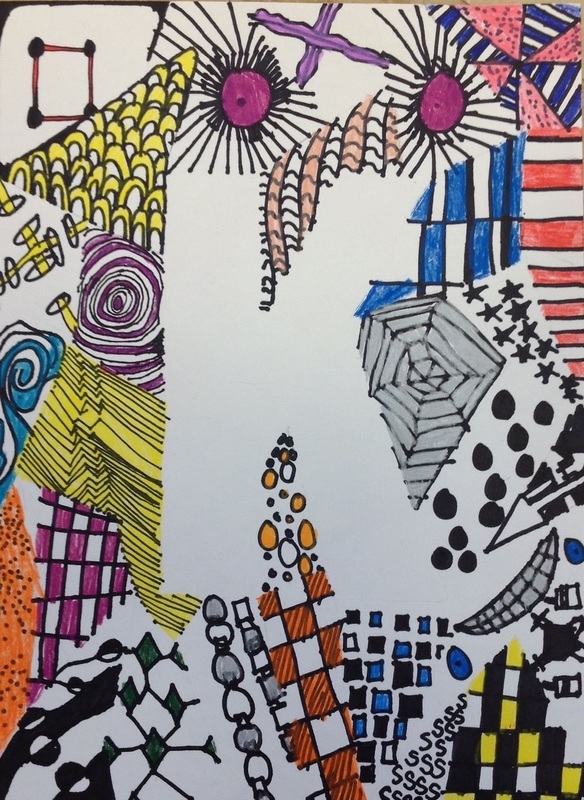 They signed up for an artist on a shared Google Sheet. Most of the artists were unfamiliar to them so it was a bit of "luck of the draw". 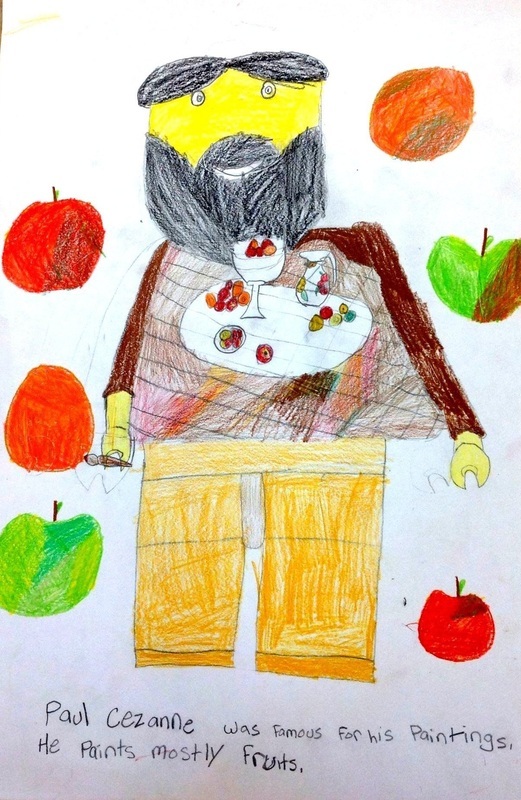 The students researched their artist using their iPads and decided what images and information was going to be important to show on their Lego man/woman. 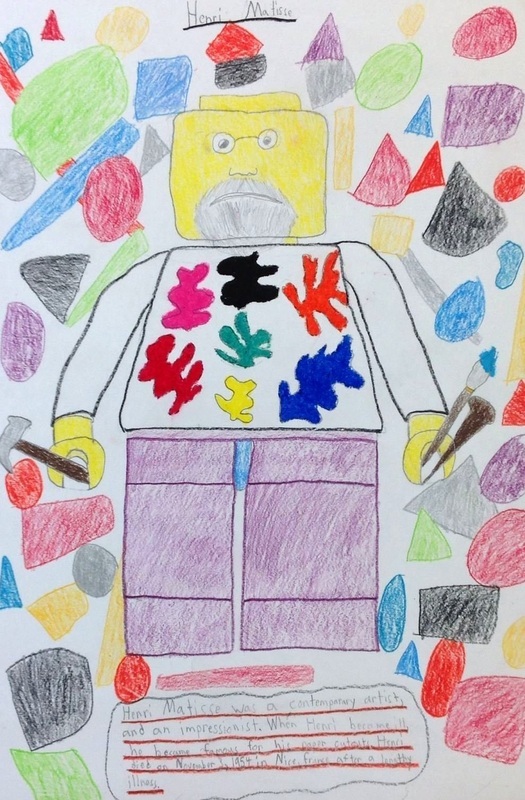 We all drew the lego man together to give everyone the same blank slate. 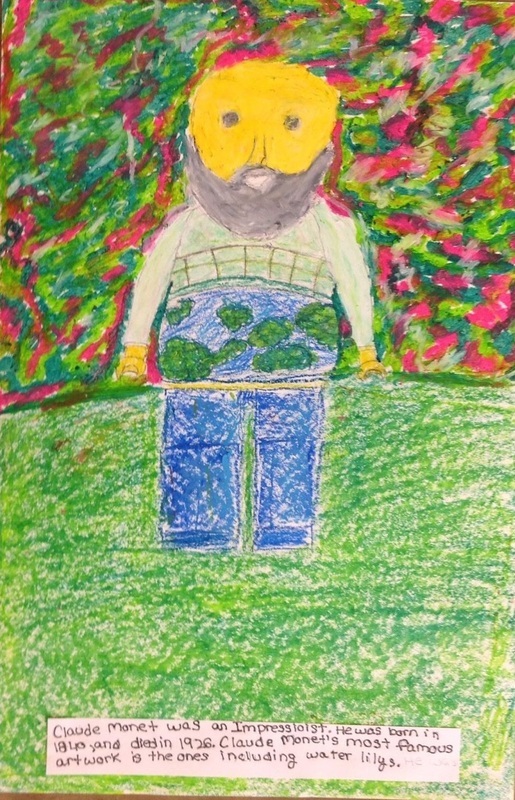 Then students drew and used color to show the style and artwork of their artist. 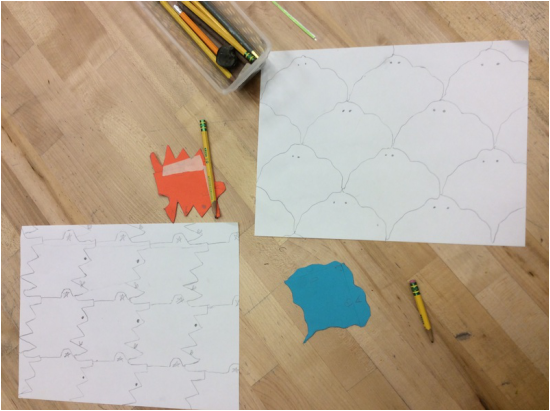 Today we wrapped up the Tessellations unit with Mrs. Gibbar's class. 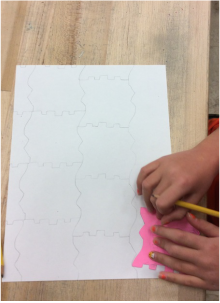 We learned 2 different ways to create tessellations by hand (Tiled and Rotational Tessellations). 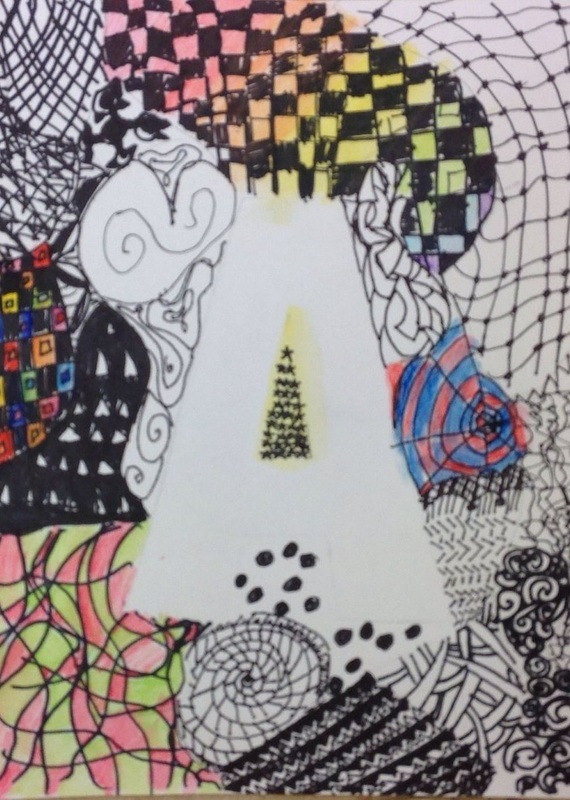 Mrs. Rogers and Mrs. Fillinger's classes are finishing up their art rotation this week. 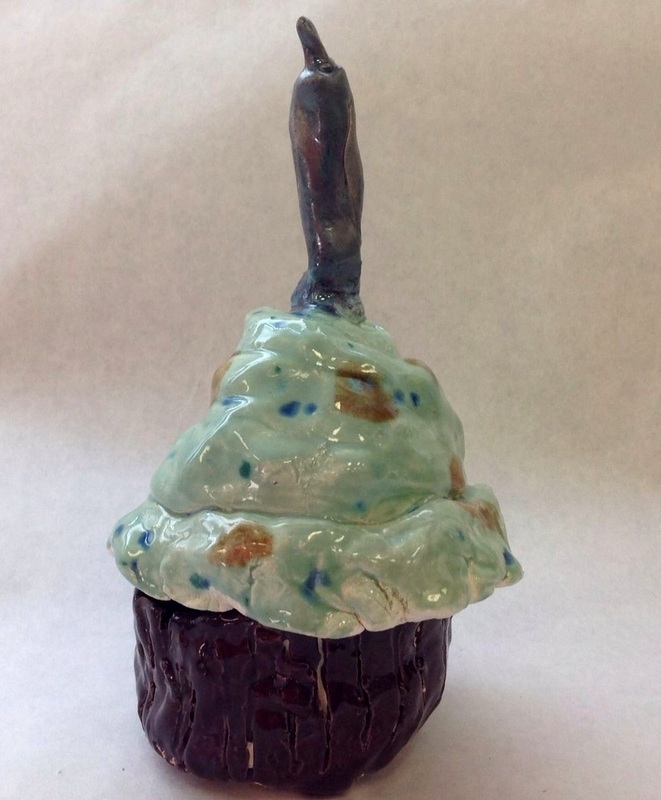 Last week, they worked on Tessellations, hand-made and digital and uploaded their glazed cupcakes to Artsonia. This week, we did a quick 2 day still life study on their gym shoes. Tessellations are repeated patterns across a plane that fit seamlessly together, similar to tile patterns in your kitchen or bath. 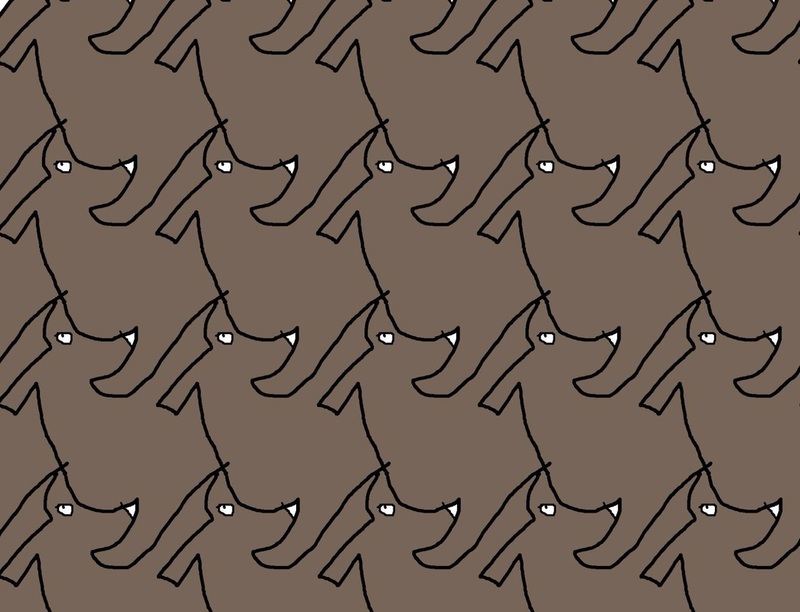 But we took inspiration from famous artist M. C. Escher to create more interesting tessellation patterns. 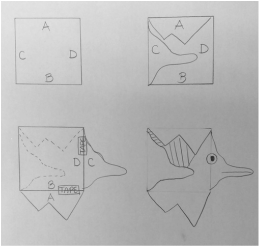 We first learned how to make them by hand starting with a paper square, then we took that knowledge and applied it digitally using the app Amaziograph. 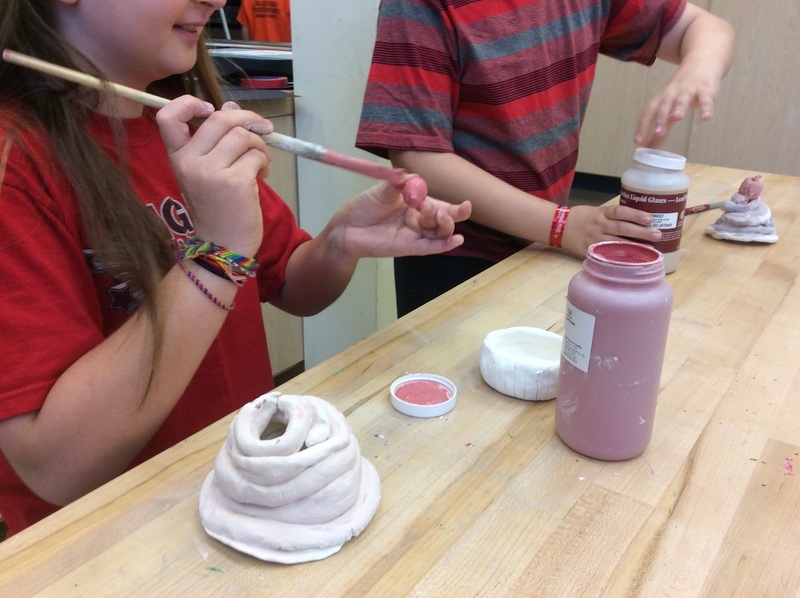 Mrs. Rogers and Mrs. Fillinger's class used wet clay last week. 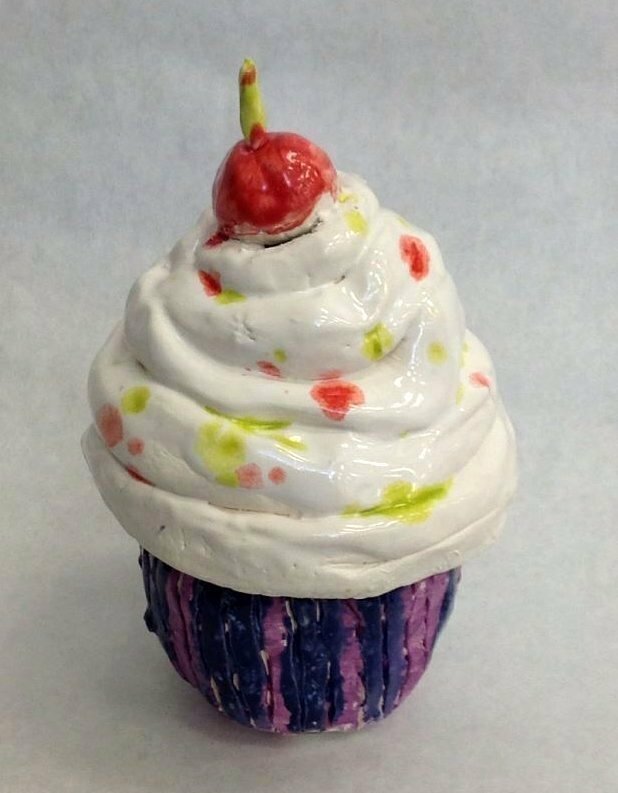 They used a pinch pot technique to create a 2 part clay cupcake container. 3. With your writing hand, press your thumb in the center of the ball pretty far down without breaking through the other side of the clay. 4. 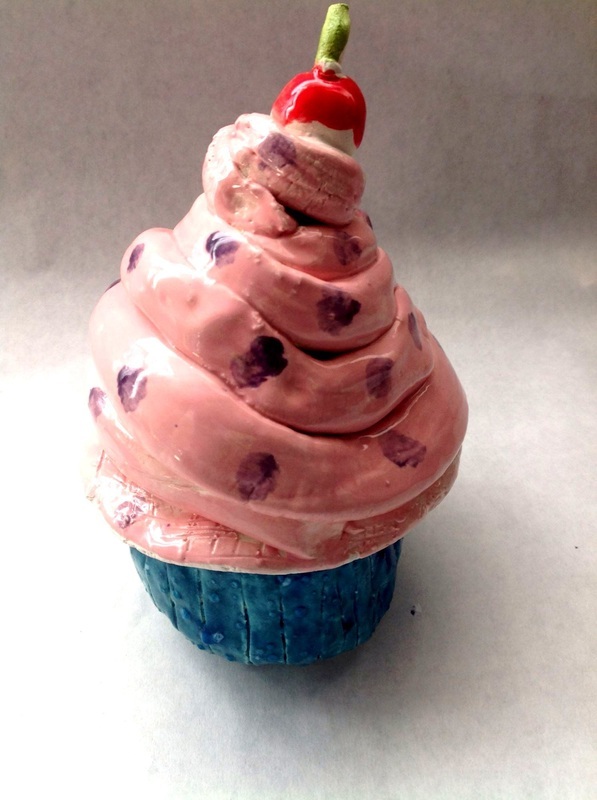 Using the rest of your fingers on the outside of the clay, pinch and squeeze all the way around. 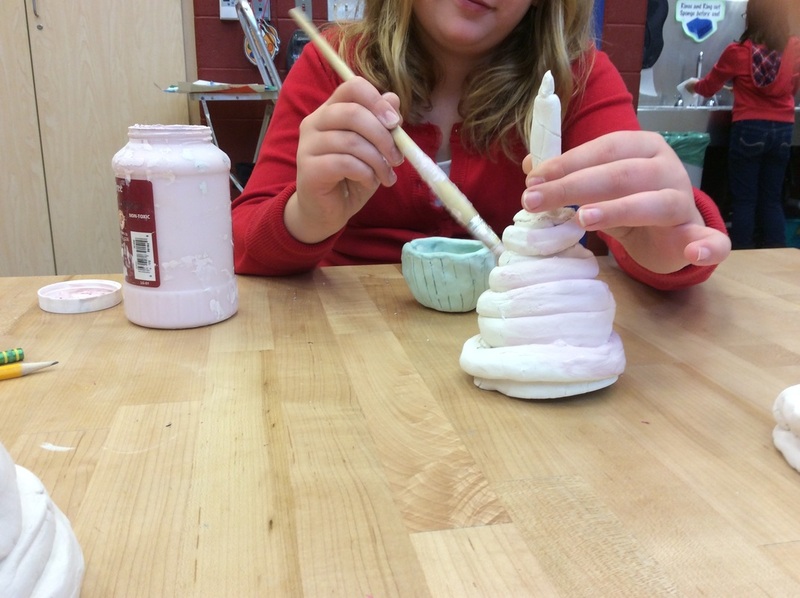 Keep moving your hand downward until you have pinched in circles multiple times giving your pinch pot even thickness. Be careful not to pinch your edges too much. 5. Smooth out any cracks or uneven sections. 6. Use a pointy wooden tool to carve in vertical lines all the way around the pinch pot. These represent the folds in the cupcake wrapper. 1. 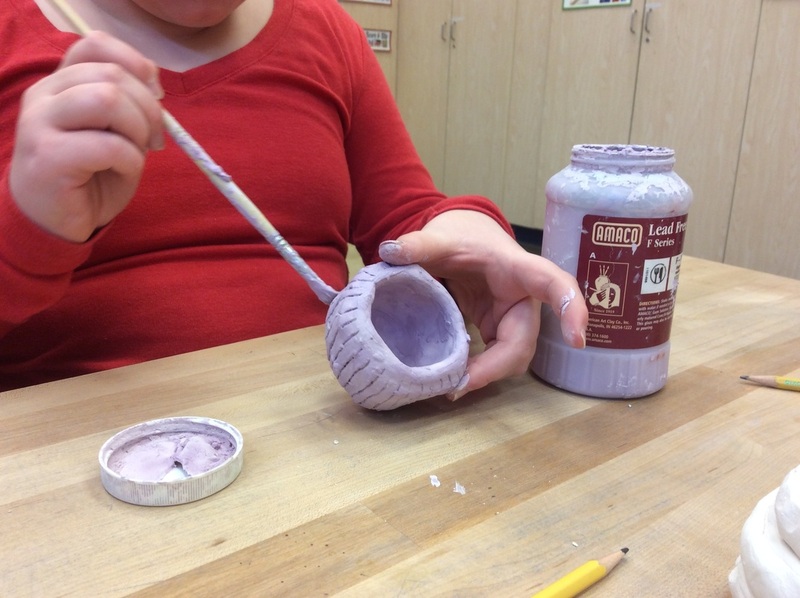 Take the smaller ball of clay and use both thumbs to press into the center of the clay gently. 2. 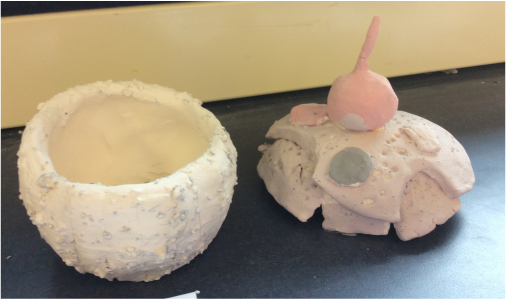 Press and turn the clay in a circular fashion until you have created a shallow bowl like shape. 3. This bowl-like shape should fit over and around the pinch pot like a lid. Stretch out the shape as much as needed. We used coil and slab methods to create the toppings for our cupcakes. We used the score and slip method to attach all of the pieces together. 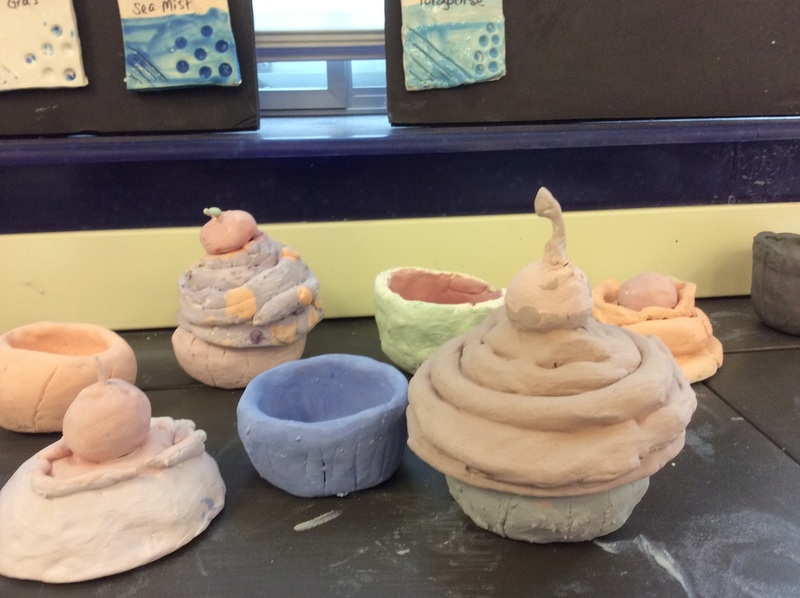 This week, their projects were fired in the kiln and they are glazing them! 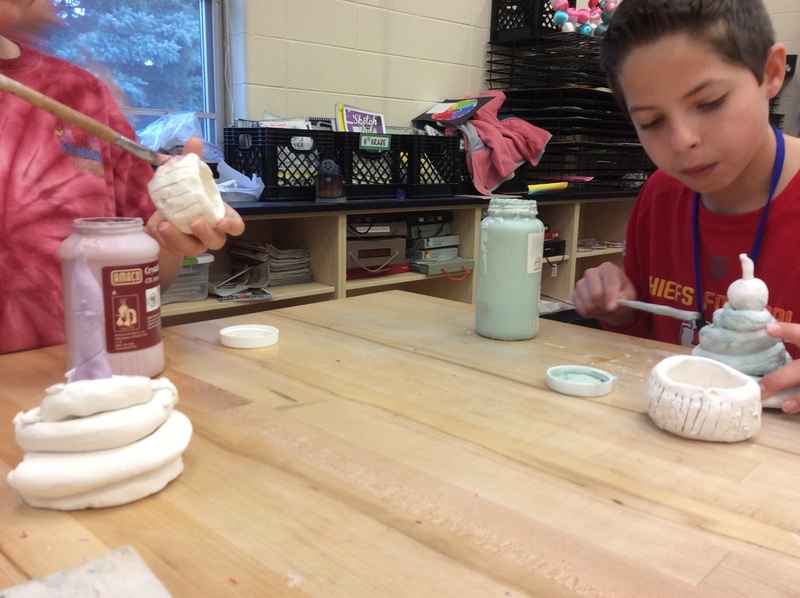 Here are some glaze pictures. 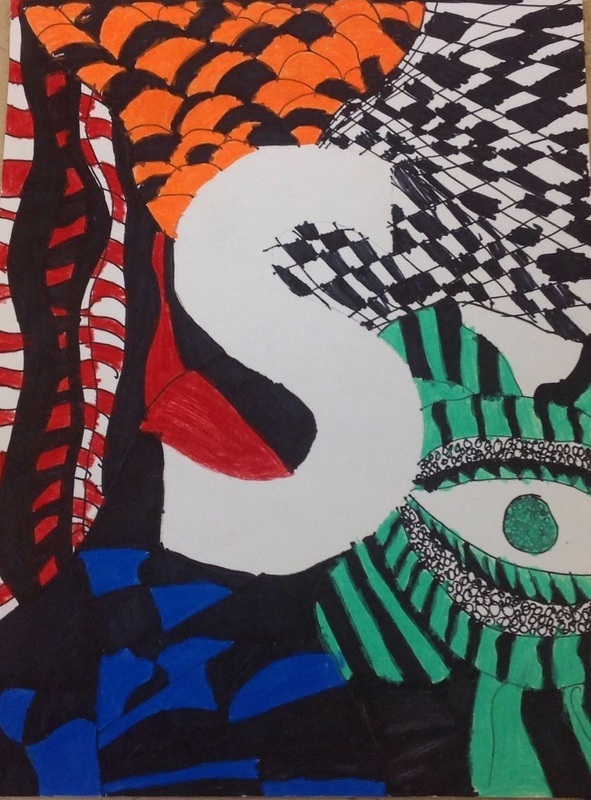 5th Graders learned about Tessellations this week. 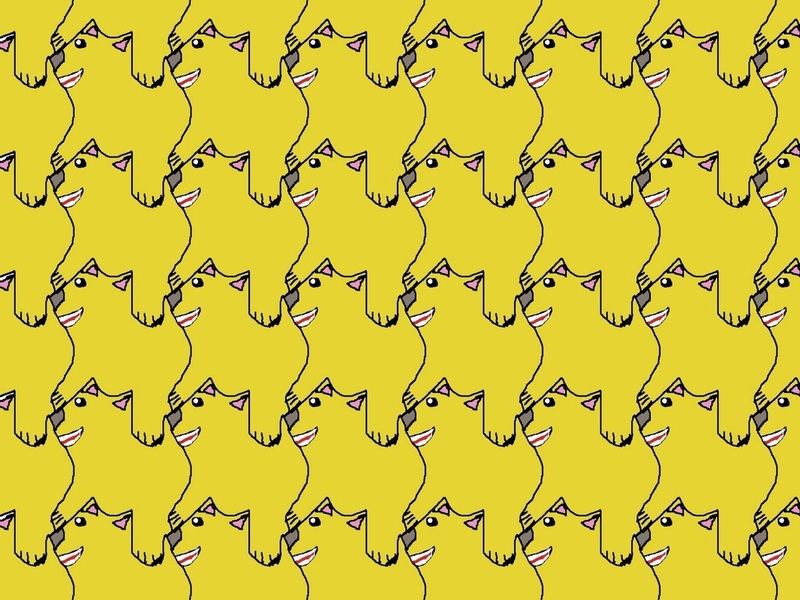 A tessellation is a shape that is repeated over a plane to create a seamless pattern with no gaps or overlaps. 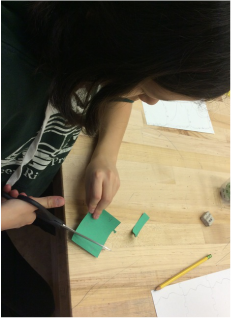 This week we focused on creating our own tessellation shape out of a square of paper. As a table, they looked at their shapes and decided what they could be, people things, animals, etc. 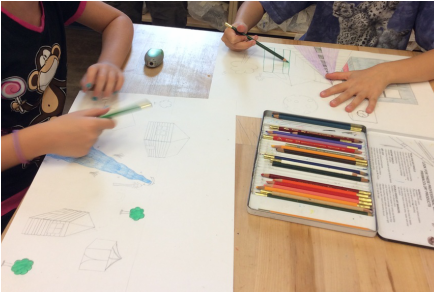 Next, they took their finished shape and traced it over and over onto their larger paper. They used pencil to add in details inside each shape to help tell the story of their person, thing, or animal... some added eyes, a mouth, legs, etc. 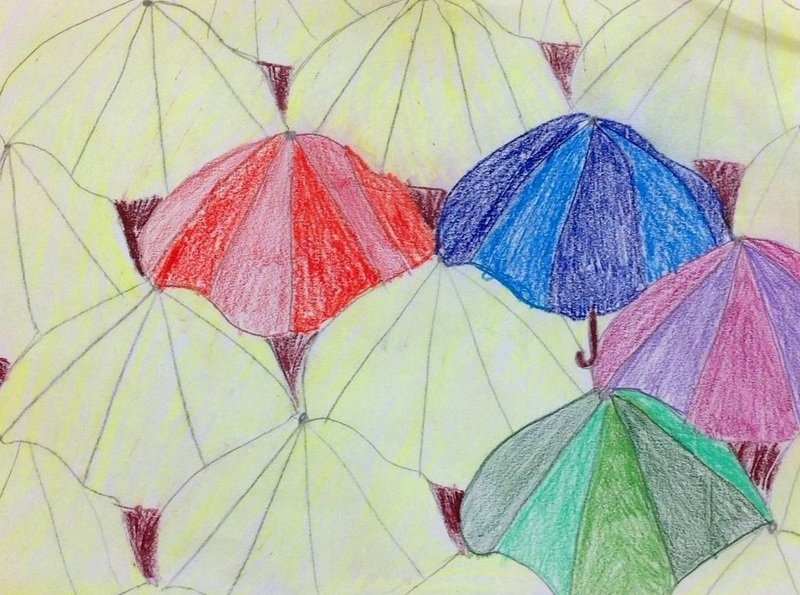 Mrs. Fillinger's class got to start adding some color to their patterns with colored pencils. 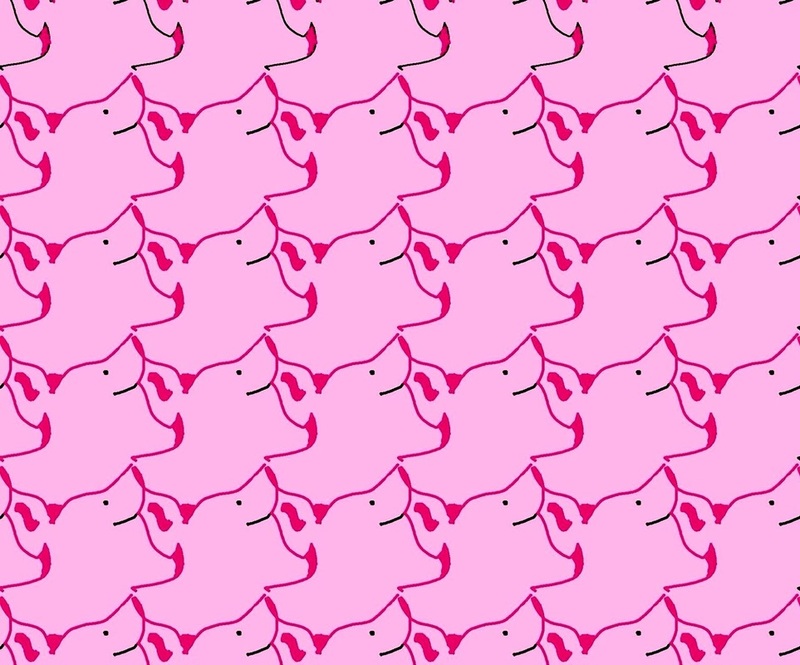 We are taking a break from tessellations to complete our ceramics unit next week, but when we come back to the tessellations we will finish coloring and use an iPad app to create a digital tessellation! 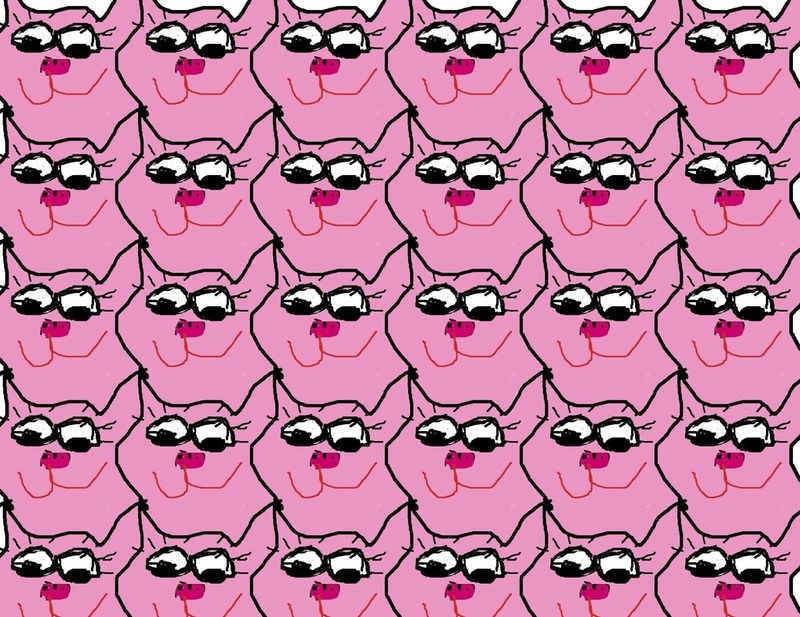 Stay tuned for more tessellation updates. 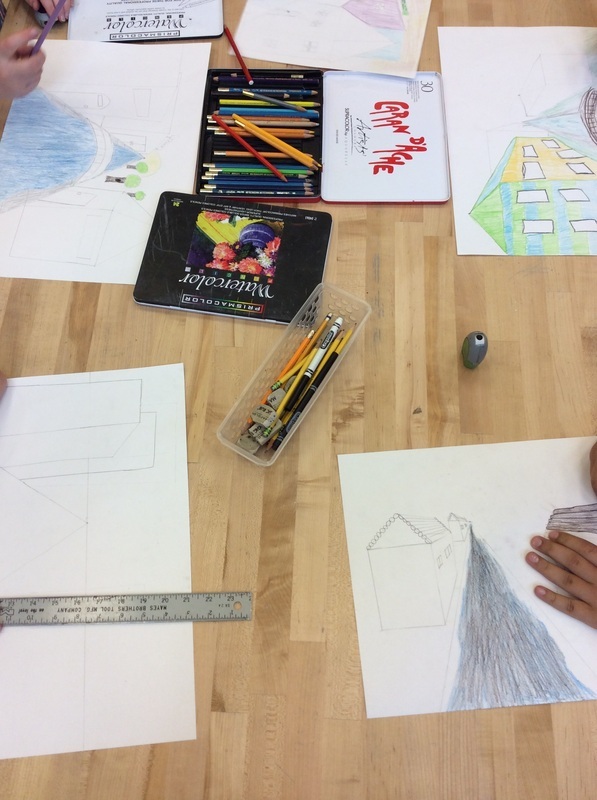 For a few weeks, 5th grade has been working on 1 point perspective drawings. This tends to be a tricky concept for a lot of students. There are a lot of rules to perspective that the kids aren't use to in art class. 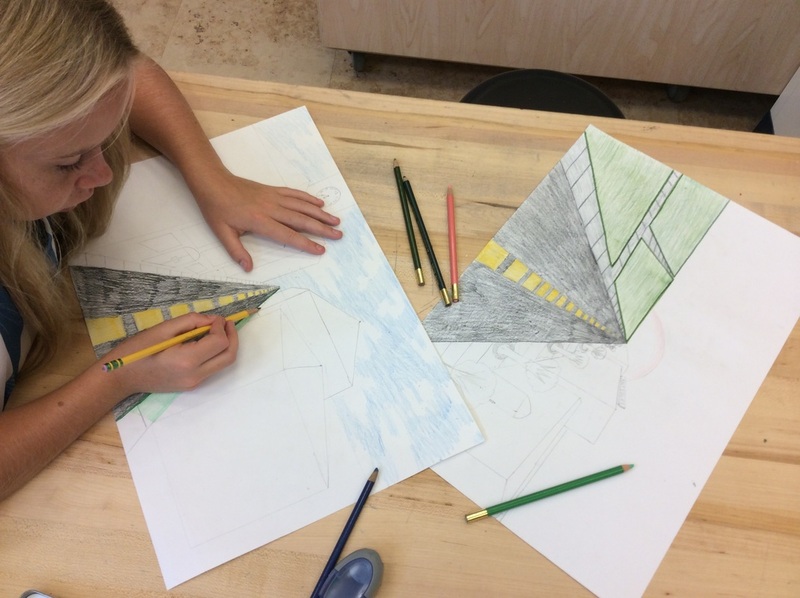 We are finally starting to add color to these creative, three dimensional landscapes! Welcome back to a new year and a new art website. 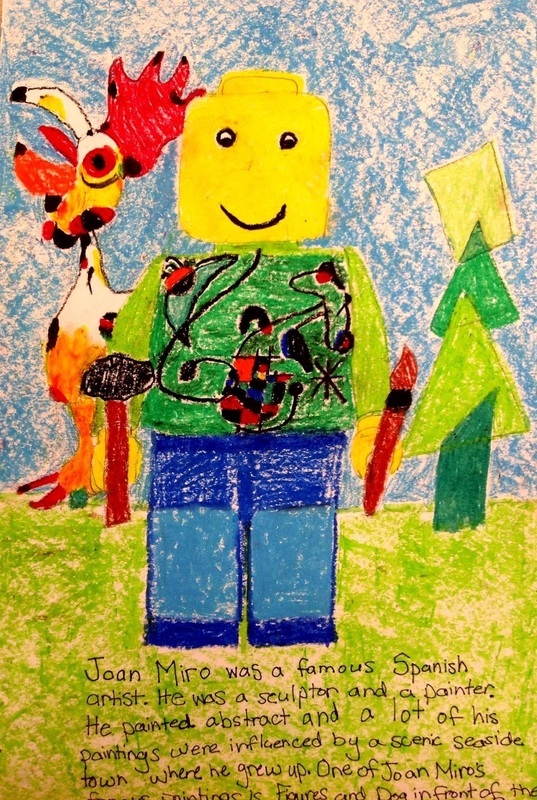 We are very excited to update you weekly about what is going on in the 5th grade art room!